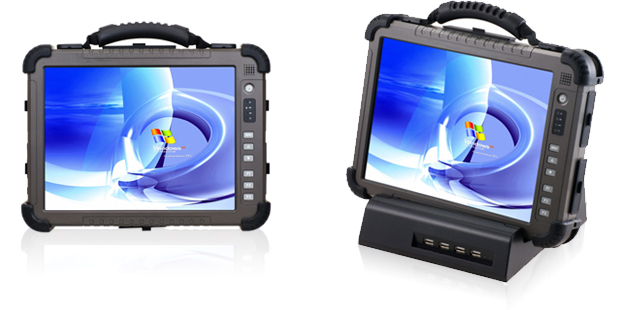 Winmate will release a new LED B/L panel solution for our 12.1” Rugged Tablet PC. The new LED panel will bring additional benefits like higher brightness, better viewing angle, less power consumption and less heat. The latest Backlight technologies also increase the visual effect of more clear picture and crisp view as well as improved readability in difficult light circumstances. For more significant information, please see the following tables. Support 12.1” High Quality XGA Resolution TFT-LCD Panel with LED backlight solution. Support Intel Atom/ Core 2 Duo Processors. Alu-Mg Alloy Housing with Protection Rubber for MIL-810F Shock and Vibration.